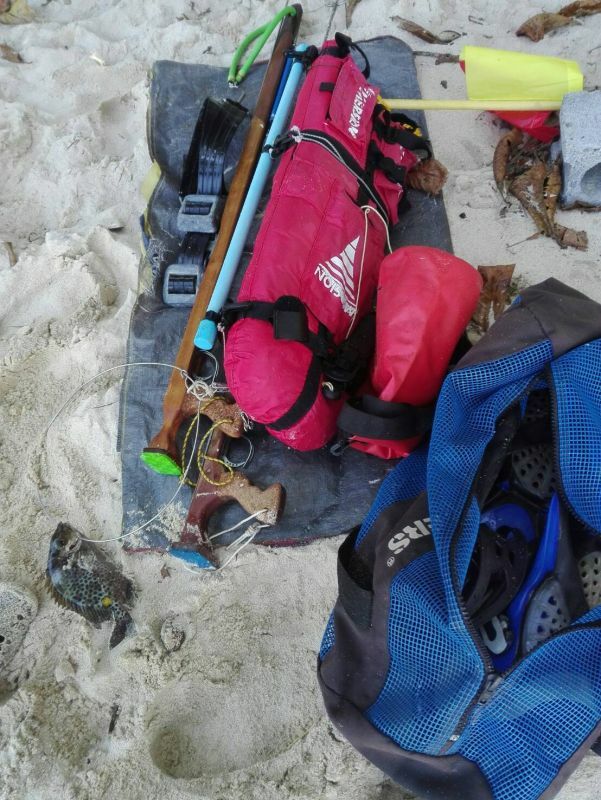 PHUKET: Five Frenchmen and one French woman were arrested yesterday after they were found to have caught protected marine animals near Phromthep Cape, the southernmost point of Phuket. A team from Chalong Police led by Lt Col Yokin Jankong arrested the six French nationals at 2:20pm yesterday (Jan 18). They were named as Daniel Albert, 71, Patrice Jacques Comte, 65, Jean Jacques Pierre, 61, Didier Tapin, 61, Le Cort Andre, 65 and Werner Claudette, 66. 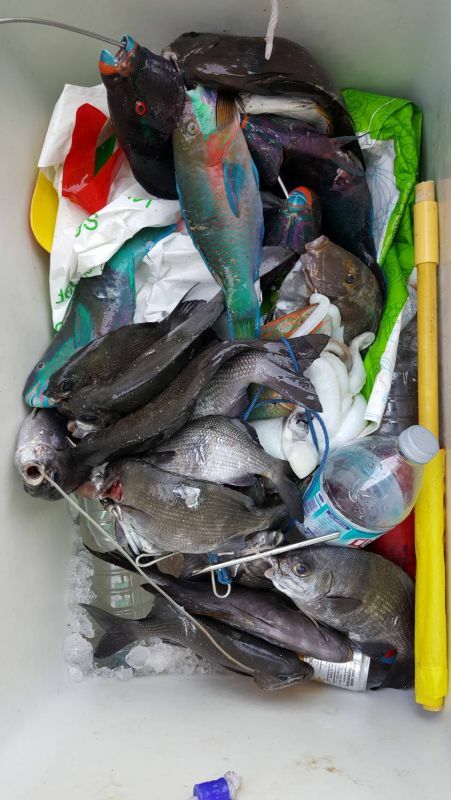 Police seized from them eight parrotfish less than 50 centimetres in lentgh and five harpoons used to hunt and catch fish. 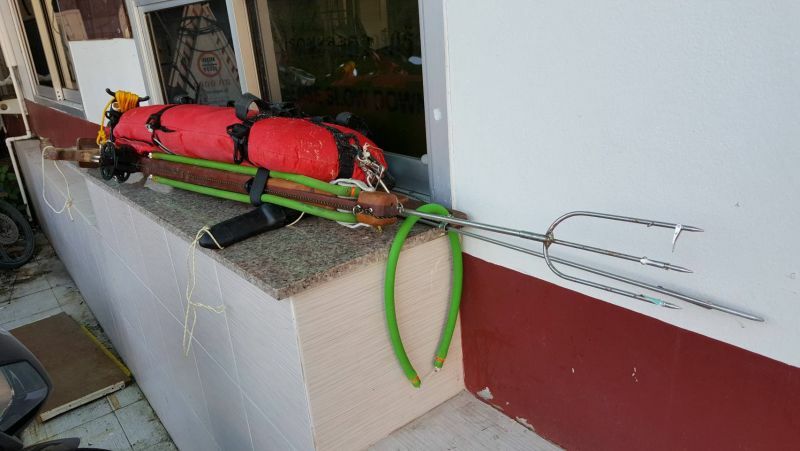 Lt Col Yokin said, “We were notified that foreigners had been shooting fish near Koh Kaew Yai (in front of Phromthep Cape) in Rawai and that they were heading back to Rawai Beach on a boat. “We went to Rawai Beach and found a long tail boat with passengers on board. On the boat police found parrotfish which are protected by law,” Lt Col Yokin explained. 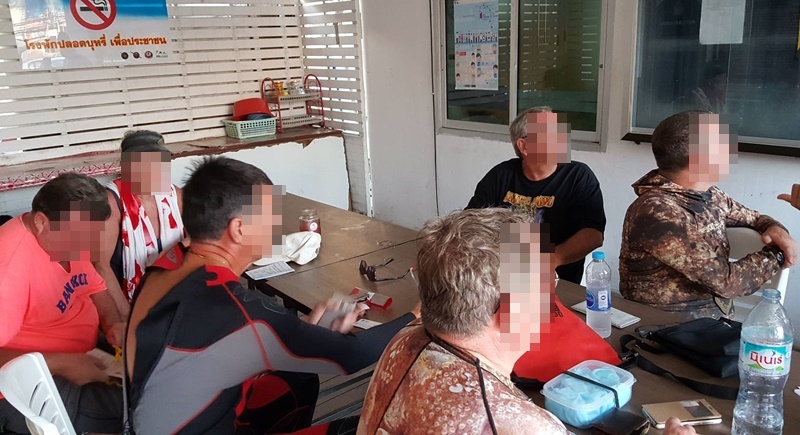 “The six French nationals were handed to Capt Somkiat Sarasit of the Chalong Police to face charges of removing protected marine life (parrotfish),” Lt Col Yokin added. As per a notice of the Ministry of Natural and Environment Resources on Phuket environment protection stated to protect No 79; every kind of parrotfish (not more than 50cm long). Whoever catches or possess this kind of fish violates or fails to comply with section 45 shall be punished by a term of imprisonment not exceeding one year or a fine not exceeding B100,000, or both. And if the thai boat driver, responsible for what happen during sailing his boat not knew it, how can one expect tourists know it? If the frenchies were stupied enough to do so then they should pay.The only thing what smells is the usual corruption theory if a farang is involved. Did they hire or borrow the long tail boat themselves? This whole fish affair is smelly. Who informed that officials about this fishing? Officials were notified, not see it themselves. Who did notify? Be open, say it. Why is the thai tail boat driver not on this police photo? As a 'captain', he is responsible for everything what happens on his boat! How about the Thai long Tail boat owner? Was he charged by facilitating foreigners to fish illegal? The 6 foreigners were passengers. Why the thai boat driver facilitated the tourists to do that? The parrot fishes were found on the thai long tail boat. In the article not a single word about the thai long tail boat owner. Seems fish can become smelly very fast, already upon arriving pier. Heavens alive ! Fine them the maximum and deport them. Do they come on Vacations or destroy nature and environment of other Countries.There are deep sea fishing Trips for Anglers. NO EXCUSE!